…with the whoop-de-do and hickory dock! One thing I most love about this holiday, besides the obvious piles of presents, libations, and fattening treats is easily the decorating. Speaking of decorating, Bry and I got our very first Christmas Tree together. And ya know Bry, we weren’t about to drive down to the Boy Scouts Christmas tree sale and fork over $100 for a 7′ tree. We did what any mountain trolls ‘ folks would do, we hiked up our ski pants and headed into the hinterland. 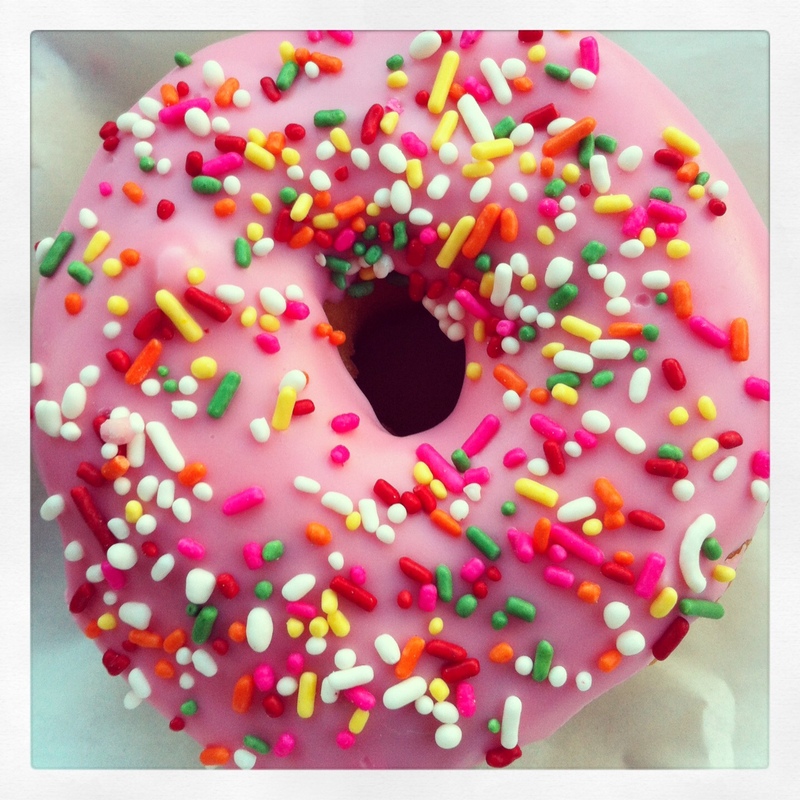 But not before grabbing a doughnut first. As we approached the forest-service roads leading up to the area believed to contain the noble-firs (or just nobles, to us), we were cautioned to chain up. Chain up?! We smiled politely at the ranger and chuckled at his naive Washingtonian sentiment. This ISN’T our first rodeo. The likes of us have seen ice’thick as a window pane down in Wyomin’. Ok I’ll stop acting like I’m a hard-core ranch hand and not afraid of icy roads now. We made our way up the hill and found ourselves a parking spot with relative ease. The only way to describe what the ranger had described as a “hill” where the nobles sat, is to utilize Microsoft Paint. An understated, yet incredibly handy tool. 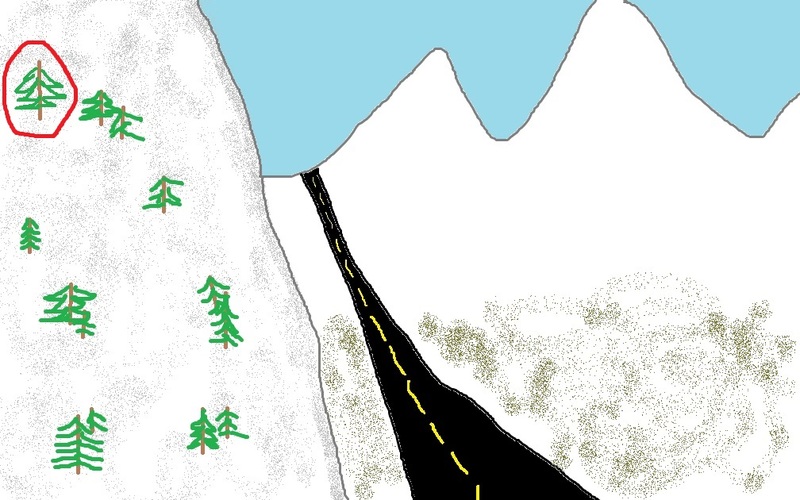 As you can see from this highly sophisticated imagery, the “hill” was actually a MOTHERF-ING mountain. And the good trees were pretty high up. Per usual, Bryan Legolased up the snowy hill as if walking on a bed of pillows. I, on the otherhand, took the Gimli approach and trudged up that hill with the grace of well, a troll. Sorry for the LOTR references by the way, sometimes they are just SO applicable. Anywho – after hiking more than 1,000 vertical feet, we found a tree that looked good and so we chopped it down. Then we busted out the hot chocolate, copped a squat in the snow and took in the truly breathtaking view. Dragging the tree down to the car, we finally got a look at what we had worked so hard for. Two words come to mind. Sparse and disproportionate. Nonetheless, we happily tied her to the top of the Jeep and made our way home with smiles on our faces and a new Christmas memory in our hearts. Say what you will about NADINE (as I have now appropriately named her). 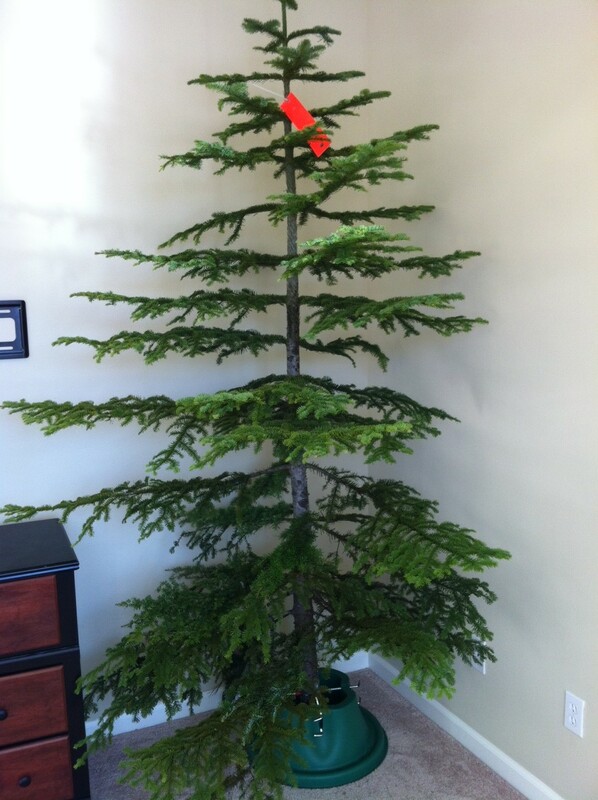 She smells wonderful and is happy to provide our new home with loads of holiday cheer, a great story and sap. Lots and lots of sap. Haha. 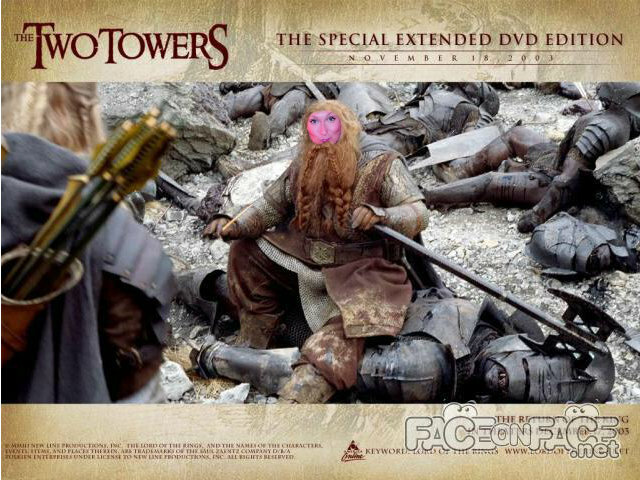 The LOTR reference, the fact that you attached the broken limbs to the front.This is hilarious! Your tree is so ‘ugly’, I love it! It’s a family Christmas tradition of ours to go get the ugliest Christmas Tree possible. 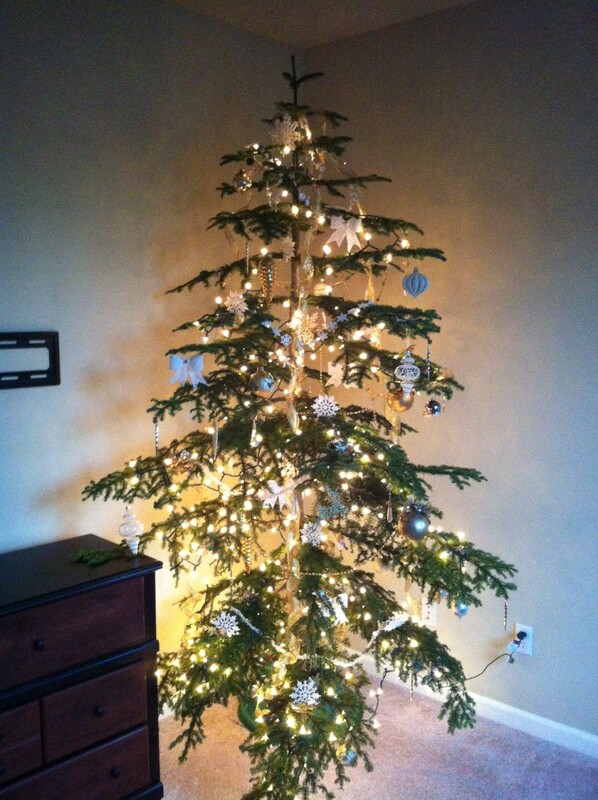 We get a Douglas Fir every year. Why, you may ask? Charlie Brown Christmas Tree. ‘Nuf said! We also read the book every year, too. I love your tree. It’s perfect! Besides, you can’t see any of the ornaments on a full tree anyway! Oh my LORD, I love it! Doug firs are the best, aren’t they? We had friends who would buy one on Christmas Eve for and the sign outside the tree lot said “DUGS – $5”. PRICELESS! Donuts are essential for trips to the mountains! And yes, Legolas has SO many uses. And, we look alike. So there’s that. Oh my goodness, that troll picture of you with the face in the hole! haha. Your posts crack me up! And I personally think that Nadine looks stunning! Great post, Natalie! Merry Christmas! Nadine thanks you! Merry Christmas to you too – I am jealous of your new Naked 3 palette! Maybe it will be under Nadine in just a few days!